Jaguars are elusive, mesmerizing, and the strongest, biggest cat species of the Americas, with an enormous head and powerful jaw. They are solitary animals, living and hunting on their own. 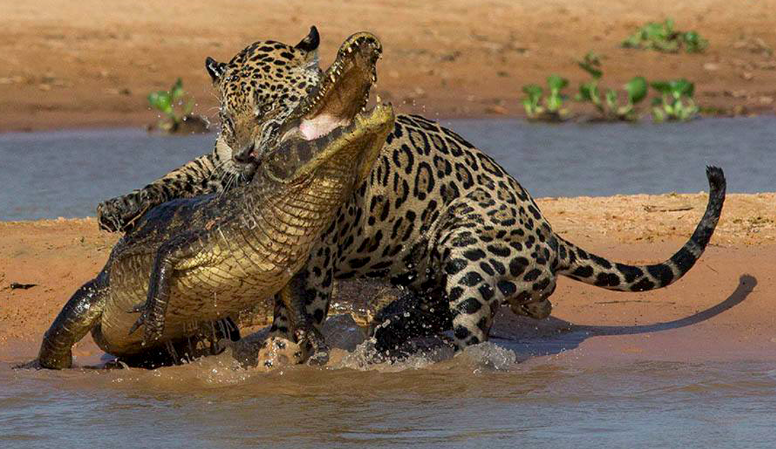 One of the biggest refuges for the Jaguar is the Pantanal region in Brazil. This area is the largest tropical wetland in the world. Extending from the Amazon, the Pantanal is an intricate network of waterways that ebb and flow with the seasons and give way to vast savannas and thick gallery forests. The Pantanal is massive – about the size of England – and it is wild and remote – most parts can only be accessed via arduous dirt tracks. The large open spaces of the wetlands protect countless mammals, reptiles and birds, making the Pantanal one of the finest wildlife viewing regions in the Americas. 8 July: Road transfer into the Pantenal with plenty of stops along the wildlife rich Transpantaneira road. Arrive mid afternoon at the lodge situated on the Pixairm river, a region well-known for many Primates, Capybaras , Caimans and the Giant Otters. The birdlife is phenomenal here. 9 July: Early morning & late afternoon photo excursions utilising the beautiful low light during each session. 10 July: Continue further along the Transpantaneira Road to Porto Jofre and connect by boat to your accommodation which is a floating lodge. 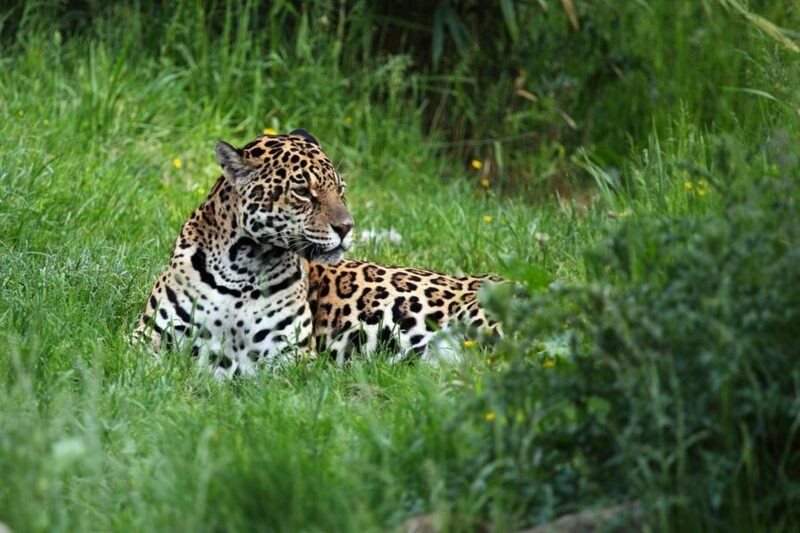 11, 12, 13, 14 & 15 July: From the floating lodge you will venture out on photo excursions spotting Jaguars. You will be able to observe and photograph these majestic animals along the wild Brazilian rivers churning with Piranha. Plenty of other wildlife species will be roaming the river banks adding to the spectacular photographic opportunities. 16 July: Transfer back to the Pixairm River lodge during the morning. 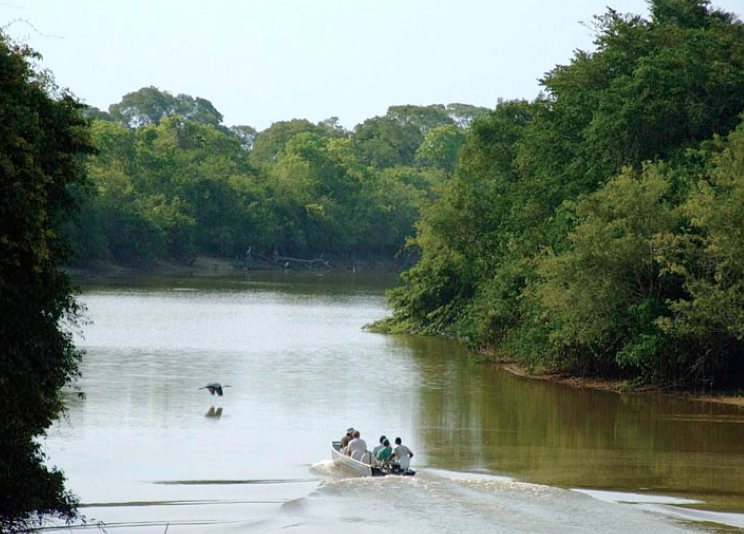 In the afternoon you will explore the region for Otters, Caiman and Primates. 17 July: A morning transfer to Cuiaba airport from where you will depart.